A couple of Saturdays ago, I asked Luke (my 10-year-old son) to mow the lawn. Based on his body language, and his verbal protests this burden that I had laid upon his shoulders was equivalent to asking him to build the Egyptian pyramids (not on MineCraft). So, in an effort to console him; I explained that this process of mowing the lawn could in fact be very beneficial to him. I explained that it could help build his muscles (he didn’t care), I explained that it could strengthen his understanding of the growth and life cycle process of grass (he didn’t care), I explained that it makes our home look nice and I even explained that by him doing that chore it would allow me to continue to perform other duties in the yard that also needed to be done (he didn’t care). This left me with the opportunity of teaching him that in order for him to play Xbox that day or ever again that he would need to mow the lawn (and suddenly he cared a lot) and agreed to perform the task. After this discussion, I started to get things ready for him to perform this monumental task. I went to the shed and got the lawnmower. I put gas in it. I primed it. Then I brought it to the edge of the driveway where the lawn starts. I also trimmed the entire exterior of the lawn, so that when the lawn was mowed, it would look uniform in its mowed state. While I was thus preparing – so was he. Luke located an electronic device, secured his headphones, selected and configured his epic playlist, and appeared next to me pumped up and ready to go – wearing his flip-flops…. After I made him change into real shoes and I had started the lawnmower for him1 he went to work. About 20 minutes later he came to me as a sweaty mess and informed me that he was done. I asked if he had done the front and the side – all I heard in return was a huff and a grumble (and maybe a moan). Off he went again (until he came back 30 seconds later and asked me to start the lawnmower for him again). Another 15 minutes passed and he strolled confidently around the corner and proceeded to tell me that he was really done this time. He had done it. I thanked him and let him know that there were Gatorades in the fridge in the garage for times just like this when demanding physical feats are performed against all odds and electrolyte replenishment is needed. He disappeared immediately. Naturally, I stopped what I was doing to go inspect his Egyptian pyramid, and just shook my head because what I saw was pretty much a hot mess of sort-of mowed grass. Sprinkled within the strips of mowed grass there were long lengths of not-mowed grass, and even a 4-foot strip of lawn that had been ignored completely. The rows were uneven, scattered, and the mowed parts didn’t quite make it to the edge of the lawn where I had trimmed. It looked like the lawn got a haircut from a blind man. I was faced with two choices; go get him to finish the job, or clean up his mess. I have chosen the first of these two options in several similar situations, just as many of you probably have. After all, the layout of this story is pretty much exactly the same as when we ask any of our young children to clean their rooms, or when we ask their other (and sometimes older) siblings to help load or unload the dishwasher, sweep the floor, fold laundry, to pick up the house, to do their homework, or honestly to perform any task at all. The fact of the matter is that they won’t do it as good as we do even when we tell them to “clean it like I would clean it”. They just can’t. At least not yet. Luke had worked hard. The sweat on his red face had proved it. He felt like he gave it his all and I (his father) – knowing him and his personality as well as anyone – was fully aware of the effort he gave. Even though the result was far from perfect, and far from what I would even consider satisfactory I was nevertheless happy enough with his effort to go over nearly the entire front lawn again and finish the job. Next time around, and as he grows older, I will no doubt help him to see that although I am happy with his previous effort, I will identify a few areas of improvement and inform him of my updated expectations – and I may or may not still use the Xbox as leverage if needed. Because even if he doesn’t care about building his own muscles -I do. I know the result of continued hard work and can envision a time where I can just ask him to mow the lawn and have complete faith that it will happen – just like I would do it. Then, after we finally make an effort, and when we’ve made a completely juvenile attempt at making the amazon jungle look like Wrigley Field and approach Him with sweat on our brows; He smiles at us, thanks us for our hard work, and hands us an ice cold Gatorade. As we walk in the house to collapse on the couch from exhaustion He walks behind us and mows the lawn again to make sure that it was done correctly and that every piece of grass gets mowed. 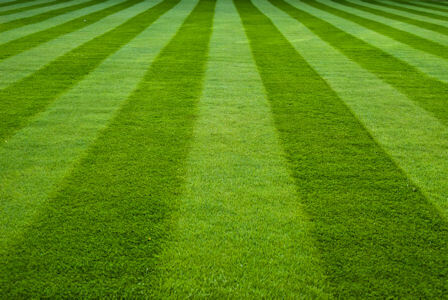 As we grow older, and this process is repeated He will gently explain to us how mowing the lawn is helping us, and someday He hopes that we will come to learn not only how to mow the lawn just like He would, but why it is so important to mow the lawn at all. 1 Before you think that Luke is completely helpless, you should know that our lawnmower really is difficult to start, and is also fairly hard to operate in general. It’s old and does not have the fancy ‘self-propelled’ feature that many other lawnmowers do. For the last week I have not been able to get this thought out of my head: It is wicked cold outside, but the falling snow is so beautiful. At times, this thought is replaced by another thought: Shoveling snow is not fun, but the fresh snow blanketing the streets is so beautiful. These thoughts continue: (Insert negative aspect of snow and winter), but (insert positive aspect of snow and winter). After clearing the driveway of snow I look at the 6-foot tall drifts and huge piles of snow and think about how fun it would be to build a super elaborate snow subway system. Another benefit of having 6 feet of snow in the last 2 weeks is the opportunity to serve others. My neighbors have helped us shovel snow a number of times. It is awesome to know that you are cared for – even through a simple gesture. My home teaching companion and I were able to shovel the driveway of a man that we have been assigned to. He has given us the run around at church for the last 3 weeks and has not allowed us into his home, yet. But service has a way of softening hearts and I think that is our golden ticket. Service is awesome*. He can no longer deny that he is looked after. He knows that there are people close that are willing to help should he need anything. Plus, I don’t want him to have a heart attack in his driveway when I can have a heart attack in his driveway instead. See… Snow can be pretty great. At least that’s what I tell myself – and I’m convinced. We have recently been counseled to be an appraiser instead of an inspector, and to see the Gospel in everything around us. Tikes, what awesome advice, thank you. The snow, like the gospel, can be a hard thing, or it can be a source of wonder and inspiration. It can be cold, harsh, and rigid, or it can be a source of joy. It really depends on our attitude and effort. What we put into it is what we get out of it. This applies globally. It could be the weather, or work, or those around us. When we look for the good, we see it. When we look for the bad, it becomes obvious. The problem is, when we don’t look for the good, the adversary often brings the bad to us for free. It may be subtle, but what better way to discourage or darken our day than to supply thoughts of a cold and dreary world, when in reality, it is filled with beauty and wonder – we just have to look for it. How often have we read, “seek and ye shall find?” Lets look for the good and smile when we see it. It may help others do the same.